Kate was for the third year in succession invited to the annual Smartraveller and Understand Insurance launch at Parliament House on 19th October, 2016. This was on the eve of the fourth anniversary of Nicole’s death in Thailand and it was a special honour to Nicole Fitzsimons Foundation that Kate received special mention from the Foreign Minister, Hon. 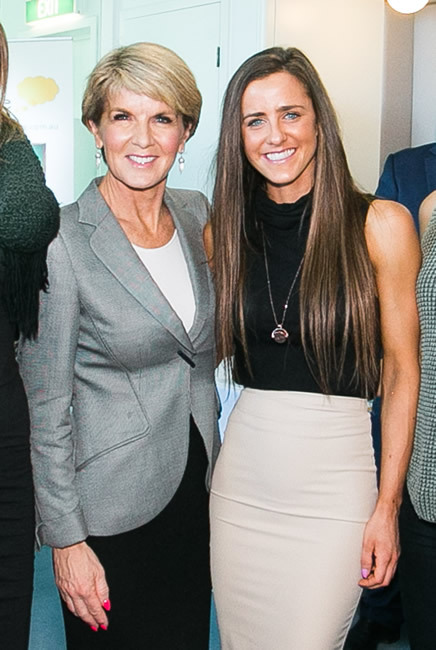 Julie Bishop, for her dedication to travel safety education. Amazing that in such a short time Kate has overcome her grief and shown great strength to prepare senior high school students to travel safety when they explore the world and have her work recognised by DFAT.